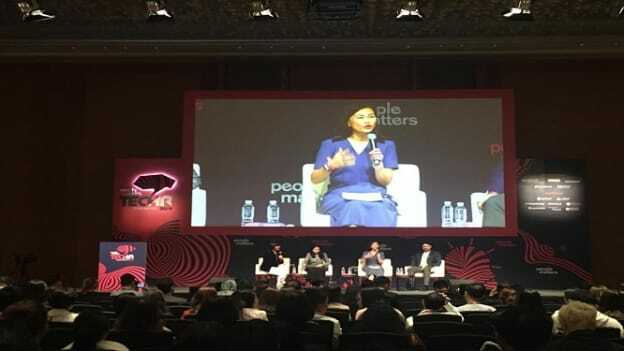 Panelists at TechHR Singapore Conference 2019 shared their challenges and learning strategies that help in future-proofing employees and organizations. Continuous learning has ceased to be a buzzword now and has turned into a necessity for companies, talent leaders and employees to succeed in the workplace of tomorrow. Panelists at TechHR Conference Singapore 2019 talked about how businesses across industries are changing with evolving demands of the workplace. Aileen Tan, Group Chief HR Officer, Singtel; Nora A Manaf, Group Chief Human Capital Officer, Maybank, Kulshaan Singh, Chief People Officer, Charoen Pokphand Group, shared their challenges, solutions and experiences in enabling not only the employees but also their organizations as a whole during a panel discussion moderated by Dr. Jovina Ang, Managing Director, Communicatio. Future-proofing is an ongoing process that long-standing companies such as Maybank and Singtel have undertaken by facing the task head-on. The job roles of the future are going to look different from what they are today. Skills such as data analytics are proving to be more and more indispensable in a rapidly transforming workplace. “If you want to future-proof your organization, remember, what gets measured gets managed,” said Tan talking about defining a future-proofing strategy for employees at different levels of the organization. The future job roles in the banking and finance sector are rapidly transforming. Nora A Manaf, Group Chief Human Capital Officer, Maybank talked about the company’s policy to employ internal employees in case of vacancies in positions that require an elevated skill level. For every 10 vacancies, the company would fill at least eight of those positions with internal candidates. That is precisely what prompts the entire management team to form a strong succession pipeline and in-turn help employees build their skillset. The skills required can shift with the changing times, for example, an HR professional such as Tan herself said she has to develop design thinking capabilities. Design thinking would enable talent leaders to take a different perspective on organizational practices and people operations. “Leveraging every opportunity to digitize people operations, leveraging data to gain insights and understanding how we can use data to make informed people decisions is very important for an HR professional like me,” said Tan advising fellow HR professionals and talent leaders during the conference in Singapore. Kulshaan Singh Singh from the CP Group spoke about the complexity of upskilling retail-shop workers in the front-line who traditionally are trained in their jobs but are essentially low on tech skills. The company that owns 7-Eleven outlets across the globe, invests in the skill-building of its employees in order to gear them up for changes in the retail sector. Singh added that organizations should not solely rely on traditional educational institutes to provide the required skilled talent. By adopting the continuous learning strategy, employers can enable employees to enroll in relevant courses, upskill themselves in a timely manner and become ready for new job roles. Training programs and learning initiatives become successful in an organization when the leadership has a direct buy-in. For a 140-year-old company such as Singtel, Tan said, future-proofing is equated to continuous learning. “We must be future-proofing ourselves year after year, day after day, minute after minute. ‘Future’ is not a noun for us. It is a verb,” added Tan. Singtel follows the policy of “no one left behind,” thus setting a target that the entire staff must be a digital citizen and possess basic technological and digital expertise, Tan noted during the panel discussion. Future-proofing is not only the onus of talent leaders of organizations. The responsibility lies with HR professionals, C-Suite leaders and managers to create an urgency for the need for new skills in the workforce. If you have to stay relevant in the long run, it is imperative that employees take charge of their own learning.